Í tilefni af 90 ára afmæli Ljósmyndarafélagi Íslands opnaði félagið afmælissýninguna "Augnablik til framtíðar" í Kringlunni 4. nóvember 2016. H.Pálsson í samvinnu við Epson og ChromaLuxe var styrktaraðili sýningarinnar ásamt Merkingu sem sá um vinnslu myndanna. Myndirnar voru allar unnar á ChromaLuxe og prentaðar á Epson Sublimation prentara. H.Pálsson er söluaðili ChromaLuxe ogEpson Sublimation prentara. Ljósmyndasýning Þórunnar Elísabetar í Hannesarholti 20. ágúst - 23. september. TÓTA – Þórunn Elísabet hefur starfað innan leikhússins í þrjátíu ár og getið sér gott orð fyrir búningahönnun og sviðsmyndir. Þórunni Elísabetu voru veitt Grímuverðlaunin 2003 og 2007 fyrir búninga. Meðfram fjölbreyttu og krefjandi starfi í leikhúsunum hefur Þórunn Elísabet unnið að myndlist og hefur haldið einkasýningar ásamt því að taka þátt í ýmsum samsýningum. TÓTA valdi að Chromaluxe til að sýna sínar myndir og er þetta fyrsta ljósmyndasýningin á Íslandi, þar sem allar ljósmyndirnar eru unnar á Chromaluxe plötur. As a responsible manufacturer of speciality papers, Mitsubishi HiTec Paper has now been certified with the PEFC™ Chain-of-Custody for the first time, whilst at the same time the existing FSC® Chain-of-Custody certification has been successfully renewed. The conscious use of resources and the sustainable production of premium speciality papers is a special concern for Mitsubishi HiTec Paper. As a result of this, in addition to ISO 9001 (quality management), the two plants in Bielefeld and Flensburg are both ISO 14001 (environmental management) and ISO 50001 (energy management) certified. Now both sites have also been certified with the PEFC™ Chain-of-Custody. PEFC™ is the largest institution for ensuring sustainable forest management by an independent certification system. Timber and timber products with the PEFC™ seal are known to originate from ecologically, economically and socially sustainable forestry. At the same time, Mitsubishi HiTec Paper has successfully renewed the FSC® Chain-of-Custody certification for both sites. "We do not only place high demands on the quality of our speciality papers, but also on their sustainable production and the protection of our environment," says Dr. Dieter Becker, Director New Business Development & Corporate Social Responsibility at Mitsubishi HiTec Paper. 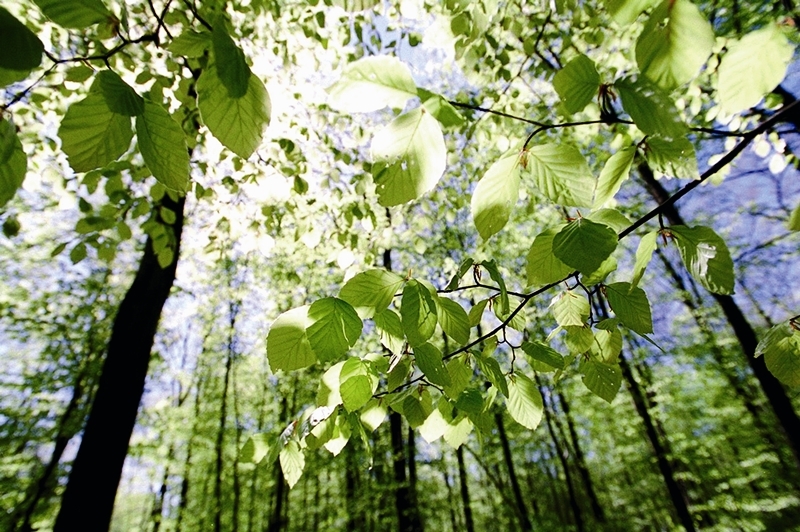 "Both PEFC™ and FSC® are important components of our CSR and environmental policy". var haldið vikuna 24. – 28. maí, hjá okkur að Gylfaflöt 30, 112 Reykjavík. Fyrir þá sem ekki komust þá, en hafið áhuga að fá kynningu, hafið endilega samband. Þetta var það sem við lögðum áherslu á á Opna húsinu, en tökum vel á móti öllum fyrirspurnum. Mirage hugbúnað til að hámarka möguleika í útprentun. Einnig munum við sýna Cromaluxe myndir á ýmis efni s.s. málm, MDF, Hardboard og timbur. Ljósmyndapappír frá Mitsubishi og Epson Fine Art Signature Worthy pappír. Sjón er sögu ríkari. Allskonar útprentanir á staðnum sýna möguleika prentarana og hverju pappírinn getur skilað. Með samspili prentara og pappírs hámarkast útkoman. Sjáðu hvernig þú getur komið þinni mynd til skila – eins og þú vilt að hafa hana. Nýja blekið frá EPSON, Epson UltraChrome HDX™, þar sem svart er svartara en áður hefur sést. Ný fjölskylda ljósmyndaprentara frá EPSON. EPSON SureLab D700 Kiosk sjálfsafgreiðslustöðvar fyrir framköllunarstofur ofl.